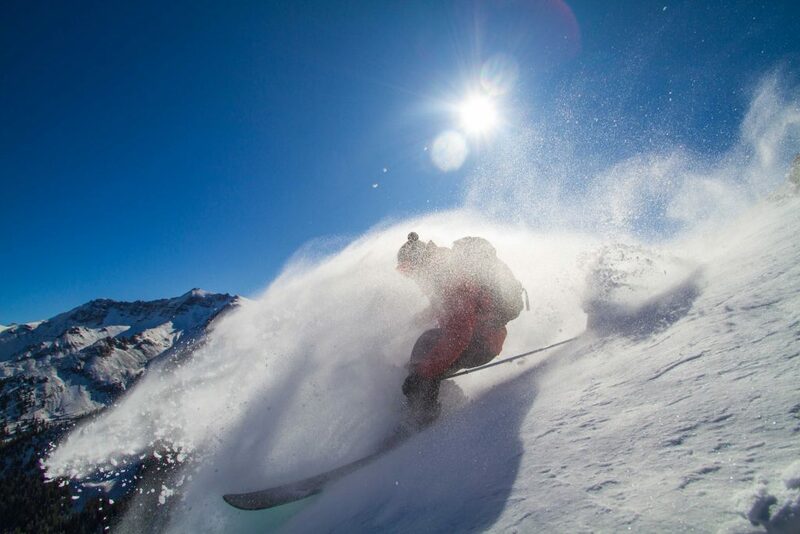 Skiing in North America - Where To Ski or Snowboard in North America? Home » Where To Ski or Snowboard in North America in October 2017? Where To Ski or Snowboard in North America in October 2017? 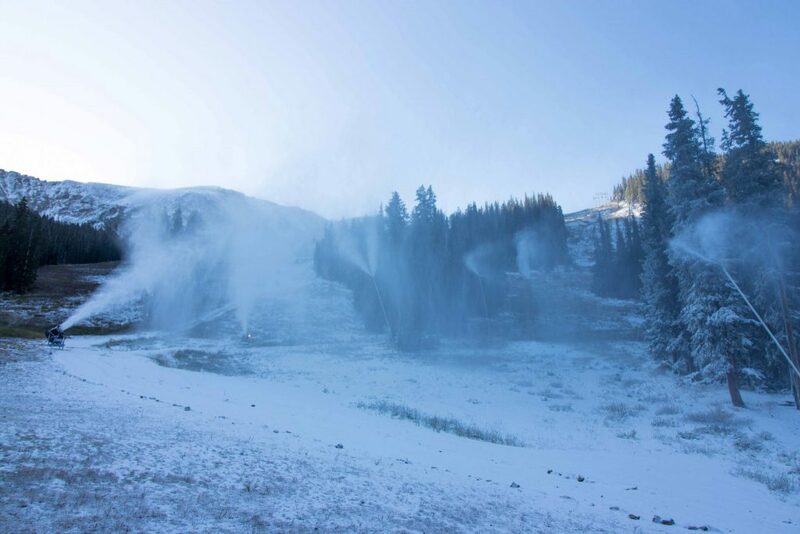 There was excitement in Western Canada and the USA when many ski regions awoke on the last day of summer in late September to a white covering, providing excellent skiing in North America. 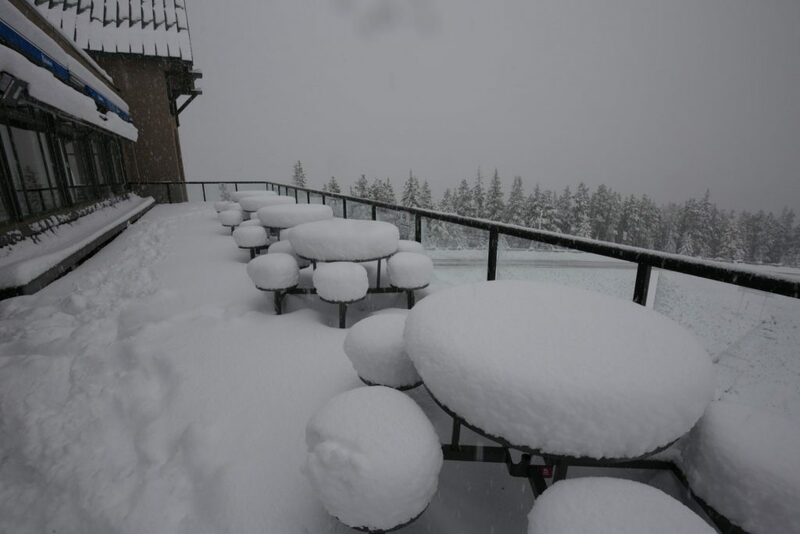 Nowhere more so than Marmot Basin up in Northern Alberta in Canada, which clocked up 40cm of snow in 36 hours over the last day of summer and the first of Autumn (below). However, so far, nowhere is open as we enter October. Although Silverton in Colorado (below) and Mt Bachelor in Oregon (top) did open briefly after it first fell for locals to have a little September snow fun. That will change though as soon as its snowy enough, or more likely simply cold enough to make snow, at certain resorts in Colorado. These centres are among the dozen highest in the world, and when its cold enough they fire up the snow guns and build a base to open up. Arapahoe Basin (above) and Loveland usually open for their seasons any time from mid-October onwards (last year Arapahoe Basin won the race by some weeks with Loveland delaying in to November after a warm autumn in the region). Breckenridge and Copper Mountain follow suit, although they don’t plan to o[pen until early November. The permanent snow field at Timberline on Mt Hood in Oregon which was open until September 3rd is also scheduled to re-open and some resorts like Killington in Vermont on the East Coast target an October opening, again if it’s cold enough for them to fire up their mighty snowmaking arsenal.